The Grenada Community Library (GCL) invites teachers, librarians and writers to the launch of the George Parfitt Caribbean Collection on Tuesday, 27 March at 5 pm. The collection is the donation of Dr George Parfitt and contains a wide array of fiction and non-fiction books by Caribbean authors. Following his education at the University of Bristol, Dr Parfitt worked in academics and was a Reader of English at the University of Nottingham and published many academic texts, mainly on seventeenth-century literature. He is the author of Being Anglo-Caribbean, English Poetry of the Seventeenth Century and a collection of poems, Inside and Out. Dr Parfitt, who resides in Nottinghamshire, learned about the GCL from Professor Alison Donnell, Head of the School of Literature, Drama and Creative Writing at the University of East Anglia who has been a friend of the library since its inception in 2014. The library started in a room of the Arnold John Building in St George’s with a few boxes of books and a membership of about 20 children but has now grown to include more than 2,500 members, including adults. 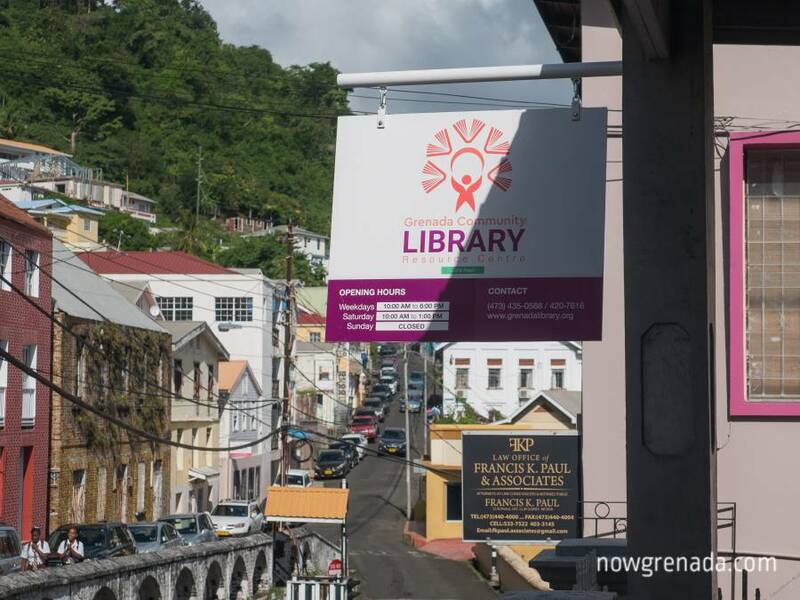 “The dream of every library is to offer a great collection of books to its members and, with the addition of this Collection, that dream is now fulfilled for the Grenada Community Library,” says Oonya Kempadoo, author and co-founder of the library. Following James Bristol’s donation of a 2-storey historical house on Lucas Street, the library was officially opened at its present location on 9 January 2017.